Fans of the classic RISK board game that also own next-generation Xbox One and PlayStation 4 consoles may be interested to know that the RISK video game is now available to purchase for both systems. 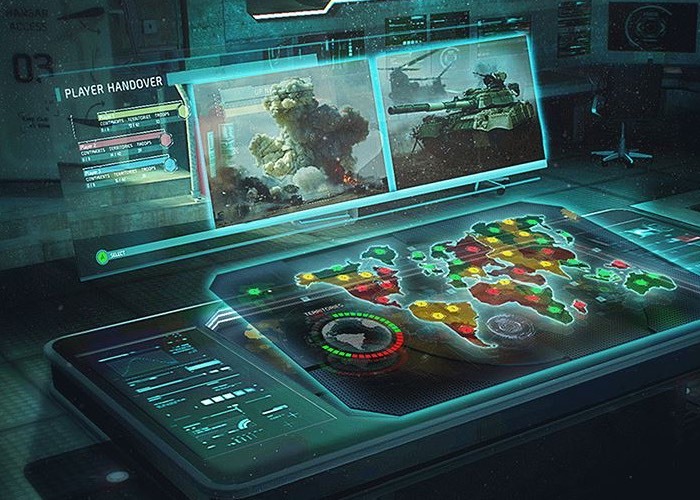 The RISK game has been developed by Ubisoft and transforms the physical strategy, card and board game in to a digital title and takes the form of roughly a 3GB download that supports both online and league play modes. The Xbox One and PS4 versions of game are priced at $15 each, and the game will also be launching on older Xbox 360 and PlayStation 3 consoles later this year. The RISK video game for the first time introduces “Iris,” an artificial intelligence “whose mission is to give tactical guidance” through tutorials and feedback. For more information on the new RISK video game jump over to the PSN or Xbox Live website for details.